Well-known entrepreneurs and business people, including lastminute.com founder Martha Lane Fox, Dragon's Den star James Caan, Birmingham FC's Karen Brady and Vice President of A&R at EMI Music Felix Howard, have all leant their support to the new vinspired award scheme. This initiative gives 16-25 year olds in England the chance to develop skills and improve their CVs through volunteering in their communities. With the current economic climate and lack of job opportunities available for young people, Martha Lane Fox believes the vinspired award scheme is a valuable addition to any CV; "I salute anybody who volunteers. Not only does it give you valuable experience but it makes you eminently more employable. And who knows you might even have some fun too!" Birmingham FC Managing Director Karren Brady added: "I think that anybody who volunteers is taking a decisive step in the right direction and taking their career ambitions into their own hands. Not only does volunteering for the vinspired award scheme give you valuable experience, but it makes you eminently more employable. And who knows you might even have some fun too! I would seriously consider a candidate for interview if they had committed to such a unique scheme." Dragon Den's Star James Caan also supports the scheme: "I am thrilled to be part of the vinspired awards and endorse the scheme. There is a real need for employers to understand the full extent of skills young people gain through volunteering experiences. In these financially challenging times it has never been more important for young job seekers to stand out and be noticed by employers and it is equally important for businesses to ensure they recognise the motivation, commitment and desire volunteers have for self improvement, which are all key attributes required in candidates by any successful business." EMI's Vic-President of A&R, Felix Howard said: "By volunteering through vinspired, taking part in the vinspired award scheme and doing something that they find engaging and worthwhile, I think these young people are giving themselves a head start as far as potential employers are concerned, with their commitment, passion and creativity." v, the National Young Volunteers Service behind the award scheme, has established the initiative to help young job seekers stand out from the crowd, get them noticed by employers and attempt to beat the recession. As well as providing local communities with support, v volunteers will gain invaluable life experience and enhance their CVs at the same time. The vinspired award scheme is broken down into two stages: vfifty, gained from completing 50 hours volunteering and vimpact achieved by doing a further 100 hours volunteering within the space of a 12 month period. What's more, it's all logged online, making it really simple & accessible to use. 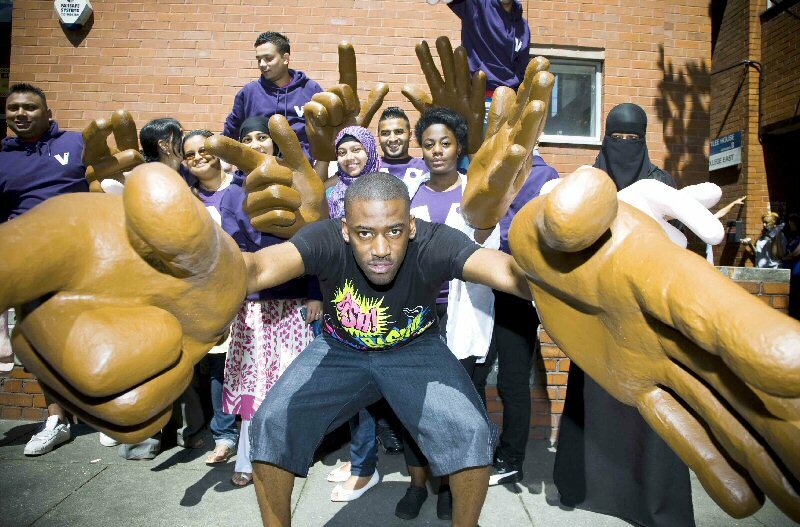 v the National & Young Volunteer Service aims to inspire a new generation of volunteers (aged 16-25) in England. We do this by funding voluntary organisations all over England to create inspiring, diverse opportunities and by helping to overcome barriers that stop people from taking action to improve lives, communities and the planet. Our aim is to create a culture where volunteering comes naturally - and where the benefits of volunteering are understood and celebrated. To do this we have two major streams of activity: as a volunteering funder; and as a central point of contact for all 16-25s. - Working in partnership with over 500 voluntary, community and public sector organisations more than 430,000 young people aged 16-25 years have taken part in volunteering funded by v. And that figure is set to grow to more than a million with 900,000 opportunities already commissioned by v.
- In addition, we have attracted over Pounds Sterling 37m from the private sector. - vinspired.com is our consumer facing brand and a place where people can search for local volunteering opportunities and share experiences using online tools including blogging and video. The site is constantly evolving and strives to challenge the traditional perceptions of volunteering trough its look, feel, language and usability. - v has also provided a national framework to deliver a local service, by introducing 107 vinvolved teams (one in each local authority area across England) to act as central hubs within the community for potential volunteers, businesses, charities and other local networks. - Furthermore, v has already introduced an innovative online awards scheme, which enables young people across England to gain recognition for 50 hours of community action. The v50 Award provides young people with an important opportunity to record the hours spent volunteering, and reflect on the skills they have gained through their placements. On completion of the v50 Award, young volunteers can progress onto the vImpact Award, motivating them to continue making a positive contribution to their community." v is an independent charity launched in May 2006 as a result of the Russell Commission report, A National Framework for Youth Action and Engagement.